We live in a technical world. Every organization whether it is a commercial enterprise, a nonprofit, government agency or a public service organization has a technology based strategy and a digital presence. With the advantages of technology also comes the burden of maintaining this technology and maintaining the technical skills within the organization. This is easily said than done. Every minute and every dollar spent supporting technical issues, learning new applications or battling security threats, detracts the organization from its fundamental mission. That is why we have made it our mission at Start To End Networks to worry about our client’s technical and IT infrastructure needs. 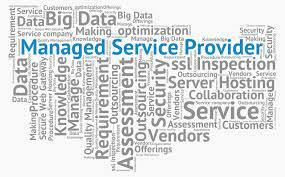 We specialize in providing IT infrastructure management, administration and support to our clients. At Start to End Networks, we have been implementing, administering and managing the IT infrastructure for all kinds of organizations but particularly for federal government agencies, for SMBs and for nonprofit organizations. Each of our business units has expert staff that understand the needs of that particular industry. Our teams are well versed in managing a broad spectrum of networks for various business segments. We have developed best practices across each industry. For the nonprofit segment, we understand the budget constraints, the staff shortages, the lack of training, the outreach and fundraising needs, the pressure of new content creation, the dependence on CRM applications and membership databases, on which each nonprofit and association relies. All of the above combined with the fact that nonprofits are highly targeted by cyber criminals. This requires a dedicated focus on IT infrastructure on a daily basis. We provide dedicated start to end service whether you are looking for Managed IT solutions for your existing infrastructure or to set up a new office or move to an existing office within the Washington DC metro area. Our teams of highly skilled specialists are immersed in technology every day. From the start to end, we manage the entire IT infrastructure from strategy, design, planning, implementation and monitoring to deliver the uptime, performance and security your staff and users expect. At Start To End Networks, we manage all aspects of your technology, digital presence, network and system infrastructures and security as part of our start to end managed services. Comprehensive Real-Time Network Monitoring – Identify and resolve computer support issues, even before they are reported. Return on Investment (ROI) – We provide these benefits at a fraction of cost to maximize your ROI. Unlike other companies, our low cost doesn’t come at expense of quality. We take pride in providing very high level of service and professional expertise. An alternative to purchasing, managing and maintaining servers and desktop equipment whether it is cloud based virtual desktops or dedicated workstations. Desktop Encryption – provide whole disk encryption for laptops and desktops running Microsoft Windows and Apple Mac operating systems. We fully manage the entire encryption process, including administering policies, users, configurations and other aspects. For additional information, please contact us at www.starttoendnetworks.com or email us at info@starttoendnetworks.com.